A late-night injunction on decades-old murder papers: why are the PSNI and NIO keeping them under wraps? 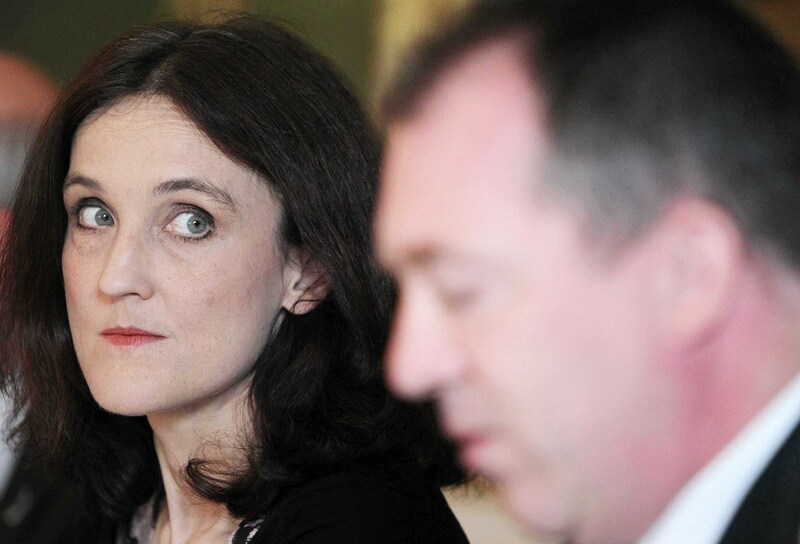 SECRETARY of State Teresa Villiers has been accused of undermining the Good Friday Agreement after obtaining a High Court injunction blocking the minister in charge of public records from allowing families to see inquest documents relating to the killing of their loved ones. Culture Arts and Leisure Minister Carál Ní Chuilín had personally delivered the requested papers to a law firm and a victims’ group representing the families concerned on Friday afternoon. It is understood Ms Ní Chuilín had done so after consulting both Ms Villiers and the Department of Justice about the material. The rationale for the injunction, which was granted later that night by Mr Justice Weatherup and served on the organisations involved after midnight, is unknown at this stage; the hearing took place in the absence of the families and their representatives while the parties which sought it, the PSNI and NIO, failed to respond to calls from The Detail today (Sunday). However it follows wranglings involving the families’ representatives and the Public Records Office for Northern Ireland (PRONI) – with the PSNI’s Historical Enquiry Team (HET) in the background – which refused the request to release the court and inquest documents. In May 2012 KRW solicitors and the Relatives for Justice (RFJ) victims’ group, acting on behalf of the family of north Belfast man Patrick McAdorey, made a Freedom of Information (FoI) request to PRONI for the release of inquest papers relating to the British army shooting of the IRA man in Ardoyne on August 9, 1971. Similar FoI requests were lodged on behalf of the families of Michael Donnelly (20) killed by a British army plastic bullet on August 9, 1980 and 44-year-old mother of two Sarah Ann Larmour, shot dead by the UVF at her home in west Belfast in October 1979. In January 2013 PRONI ruled that the FoI requests were being refused following discussions with the HET, who said that disclosure of the inquest papers could prejudice the prevention of crime; apprehension or prosecution of offenders and the administration of justice. Access was also refused in the Donnelly and Larmour cases. In July a report by Britain’s police watchdog, Her Majesty’s Inspectorate of Constabulary (HMIC), recommended that HET be suspended from investigating British army killings following evidence that HET had failed to properly investigate a series of security force killing of civilians. KRW and RFJ appealed PRONI’s refusal to grant them access to the inquest and court documents to Ms Ní Chuilín, who as DCAL minister has authority for PRONI. Following a review of the PRONI decision last week Ms Ní Chuilín ruled that KRW and RFJ should have access to the inquest papers in the three cases. It followed legal precedence which had been set in May when the minister took a similar decision to overturn PRONI’s refusal to release inquest papers in two other cases involving security force killings of civilians. “I don’t believe the public records office were in a position to make that decision independently, I think that decision was mine to make,” she said. It is understood that the minister had consulted with both the Northern Ireland Office and the Department of Justice, before taking those decisions. No High Court injunction was sought by either the Secretary of State or PSNI in those cases. It is understood Ms Ní Chuilín again consulted with the Secretary of State and the Department of Justice this week before taking the most recent decision to release papers in the McAdorey, Donnelly and Larmour cases. In a highly unusual move, the Detail understands Ms Ní Chuilín personally delivered the PRONI papers to RFJ and KRW offices on Friday afternoon. However within hours Secretary of State Theresa Villiers and PSNI Chief Constable Matt Baggott had obtained a late night High Court injunction banning KRW and RFJ from sharing the contents of the documents with the three families. The injunction, which was served on KRW and RFJ after midnight on Friday, gives no explanation as to why they have been banned from sharing the inquest papers with the families of those killed. Another High Court hearing is due to take place tomorrow morning (Monday). It is unclear whether the Attorney General will be present or represent Ms Ní Chuilín at the hearing. Commenting on the Secretary of State’s decision to block a Sinn Féin ministerial decision, a party spokesman said: “Sinn Féin is concerned at any efforts by the NIO to interfere with the responsibilities of a devolved minister in serving the rights of local citizens. The irony is that these are public records about public inquest and court hearings, which have already been heard and reported in public. “How can inquest papers which were public records in 1972 be considered to be documents likely to affect the administration of justice in 2013? “This is a ludicrous and illogical contention. “The documents are not state security intelligence documents. “They are public records and the official keeper of public records is the Minister for Culture, Arts and Leisure who hand delivered the documents to our office, having received advice from the Attorney General. The High Court injunction is understood to have ramifications for 23 other cases in which families have requested that PRONI release papers relating to the killings of their loved ones. Relatives for Justice spokesman Mark Thompson said that the families of those involved were deeply upset that the High Court action taken by the Secretary of State and Chief Constable had now deprived them of public documents relating to the deaths of their loved ones. “It is an attack on them as victims of the conflict, and on the people who support them,” Mr Thompson said. A report by the BBC said that the Secretary of State and Chief Constable believed that the papers should not have been released without the removal of sensitive information. Justice Minister David Ford said it was unclear, what if any sensitive information, had been removed. He told the BBC: "Last Friday I wrote to the culture minister pointing out the urgent necessity of having discussions about the issue and ensuring there were full redactions to protect ongoing police investigations and potential issues under the European Convention on Human Rights (ECHR. “I am extremely disappointed that she doesn’t seem to have taken any advice from my department, or the police, and has gone ahead and issued those documents. The Detail contacted both the Northern Ireland Office and the PSNI but no one was available for comment. Vulnerable prisoner support scheme a "box-ticking exercise"